Known for its delicious Pan-Asian cuisine, impeccable sake program, unrivaled décor and exuberant vibe, Social House is the destination to gather with family and friends and toast to the New Year. Guests can enjoy the exclusive tasting menu, which will include the following dishes: Ranger Valley Beef Carpaccio, Pan Seared Artic Char, Lobster Inaniwa “Pasta,” Kira Yume Raspberry Chocolate Cake and more priced at $100 per person (tax and gratuity not included). For those wanting to indulge a little more, the delectable restaurant will offer guests a premier sake pairing of Dassai 23 Junmai Daiginjo, an ultra-premium bottle of sake. 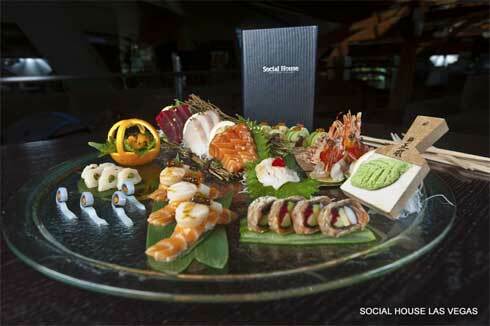 Social House will be open from 12 p.m. until late Tuesday, Dec. 31. The premier tasting menu available for dinner only. For reservations, please visit www.AMGnewyears.com or call (702) 736-1122.